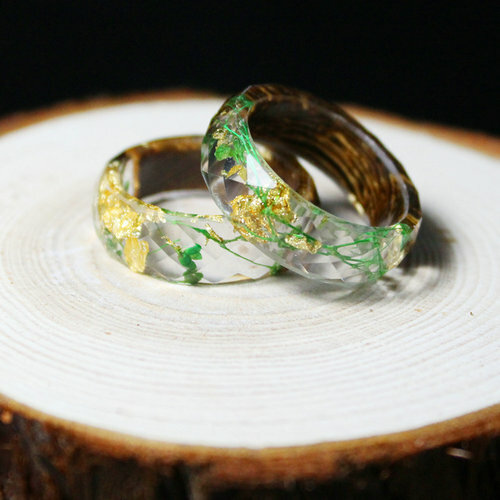 Since it is handmade, when the rings are sold out, please allow us to reproduce it in 5 days. 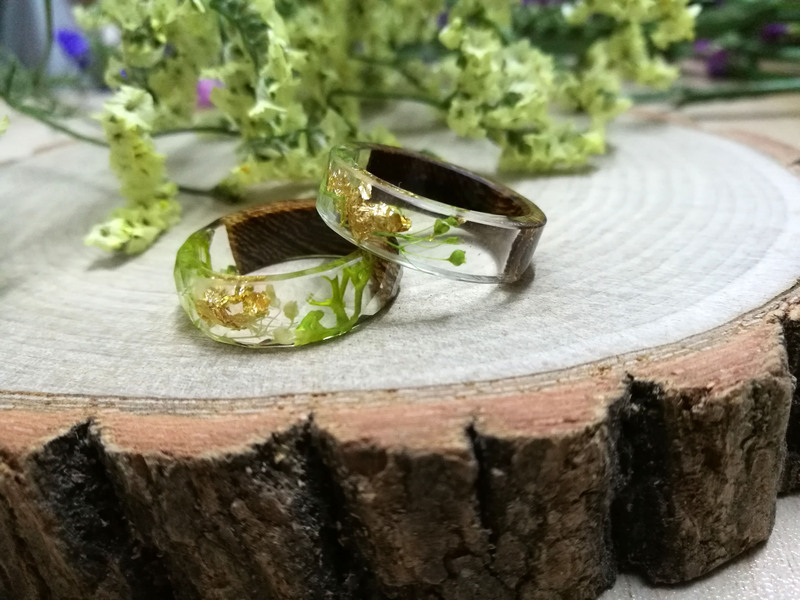 This lovely floral resin and wood ring is a great fun piece to have! Each one is custom made so no two will ever be the same! Our skilled artisans spare no detail in the crafting of these pieces. They’re nice and light on the finger and you won’t be able to resist not looking at it to see every detail. 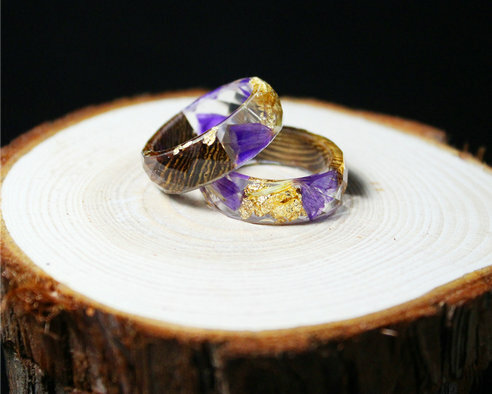 We design accessories that allow anyone to carry a bit of nature with them at all times. For up to three weeks, we planning, pouring resin, curing, and shaping a single creation for someone who can’t get enough of Earth’s pure beauty. 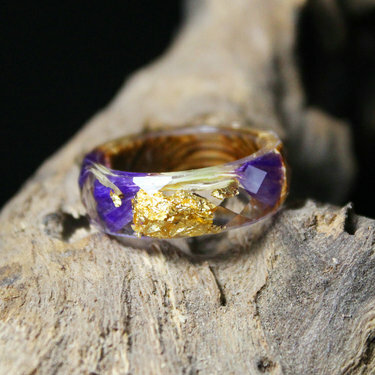 Within the wearable works of art, there are real segments of rustic leaves, vibrant flowers, fluid grasses, and even stones. 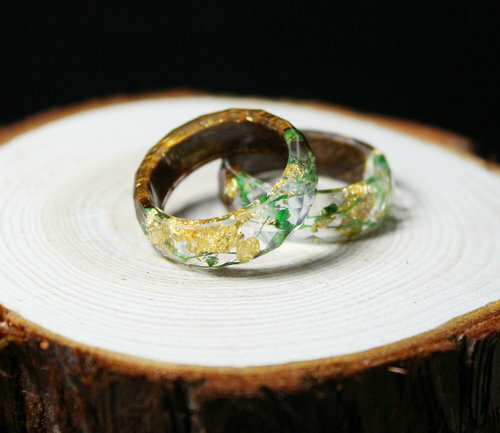 Compared to the resin’s sleekness, these natural elements add a touch of warmth to make each item distinctly unique. Simple, Natural Turquoise Ring: a Genuine Sleeping Beauty Turquoise is suspended on a dainty geometric ring – Stunning, understated elegance. Beautiful alone! 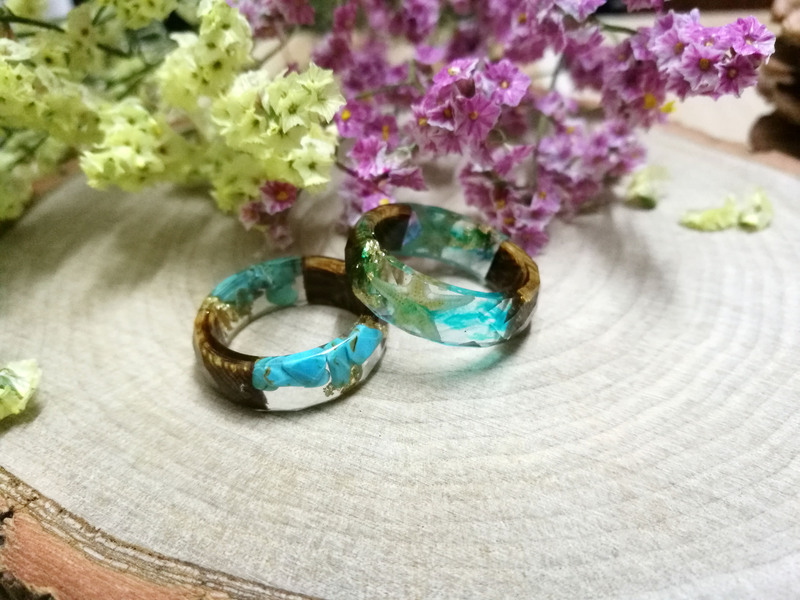 The wooden ring is very lightweight. It is as light as a feather, making it very comfortable to wear! 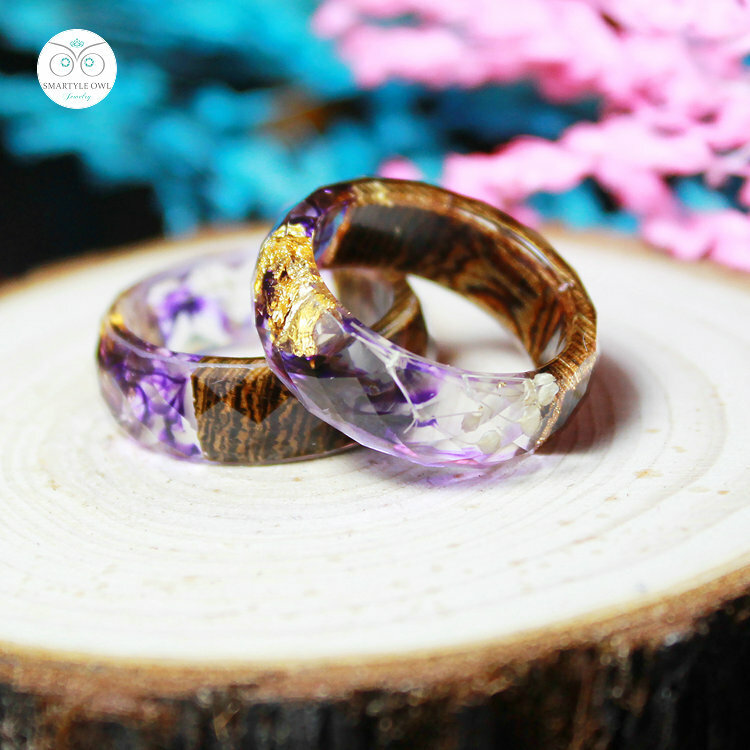 This unique wooden ring is completely natural and eco-friendly product! 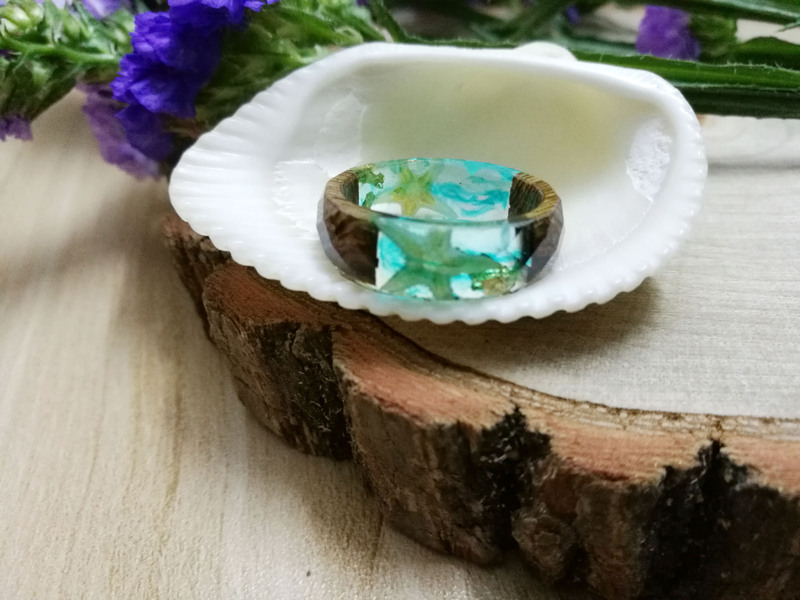 Carry a few forget-me-not flowers with you in this resin ring. 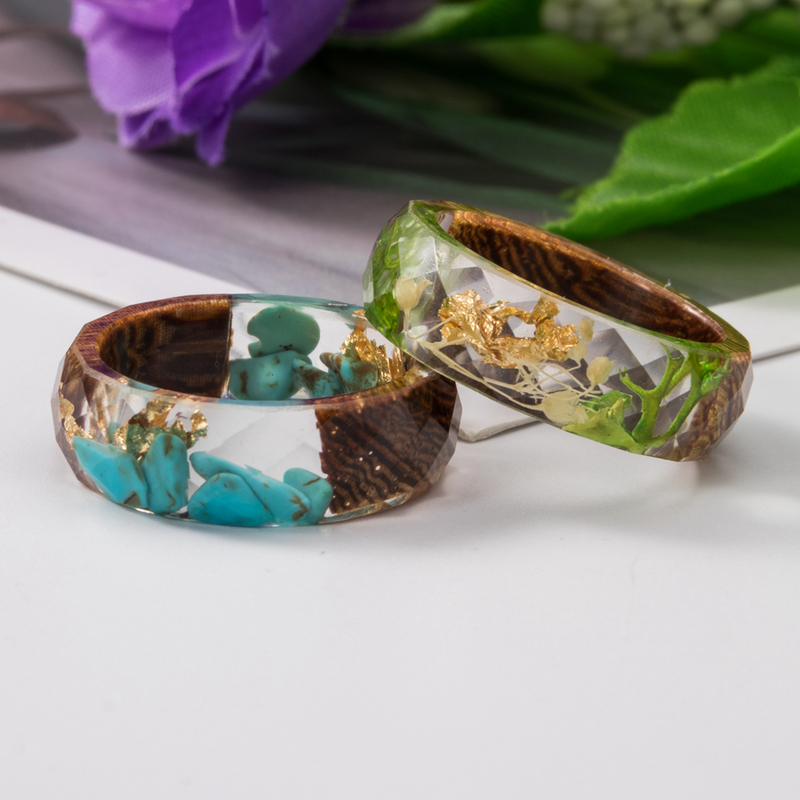 The slip-on-style accessory features pieces of real dried forget-me-not flowers and stalks of gold flakes arranged around the dazzling faceted shape. The clear material ensures that you’ll be able to see all of the plants’ fine details while being sturdy enough for everyday wear. Beautiful! Each one is unique.